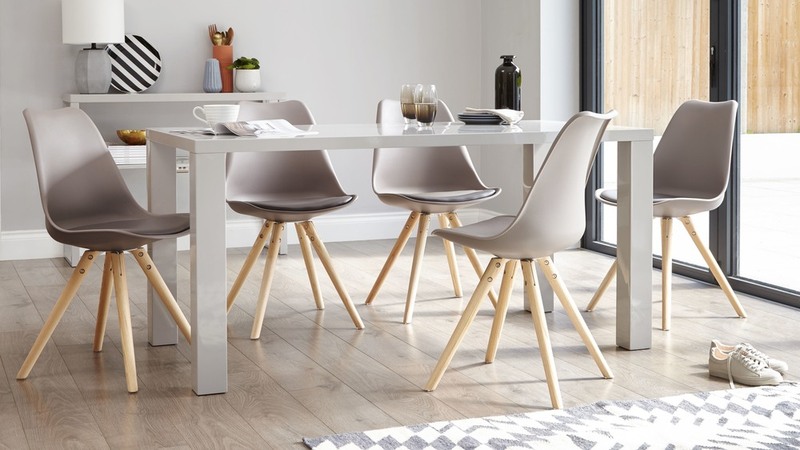 The wonderful thing about the Fern Grey Gloss 6 Seater Dining Table is that it's so versatile, due to its simple shape and lovely neutral grey gloss colouring. This makes the Fern table fashionably understated, allowing you make a real statement through your choice of dining chairs and other accent furniture in your dining space. The sizing of this Fern dining table means it can comfortably seat 6 people. 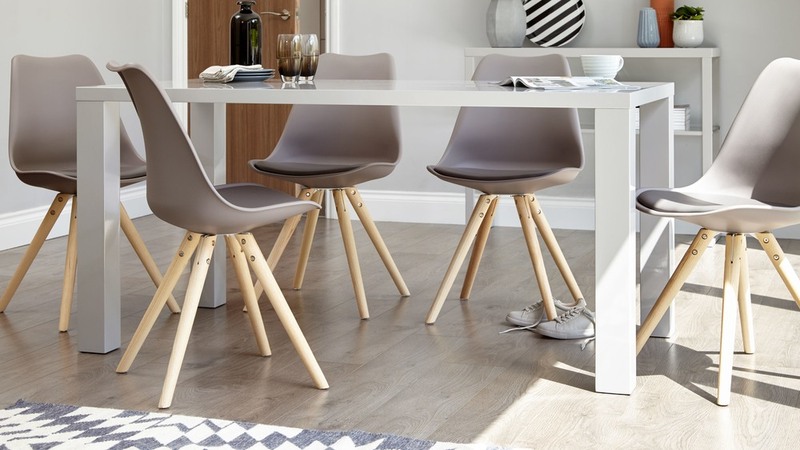 This makes it a great choice if you are after a slightly larger dining table that doesn't take up too much of your dining space. 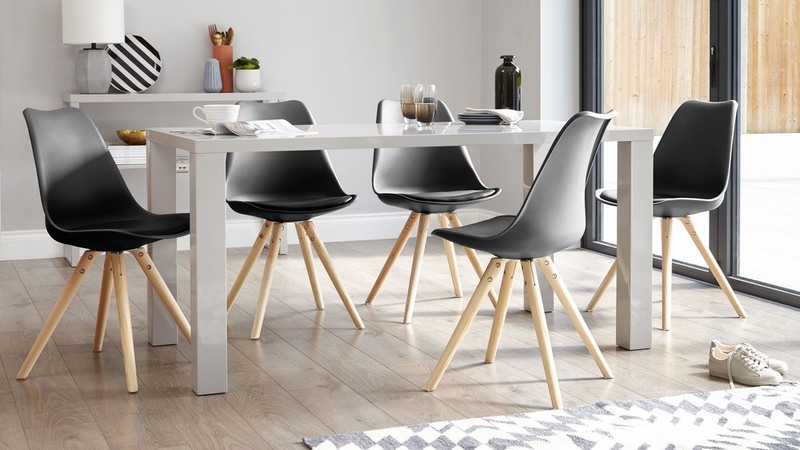 The Fern 6 seater dining table is made from a high quality lacquered MDF with a grey gloss covering. This material choice is ideal for something used as regularly as a dining table, as it results in the Fern being a really strong and durable piece of furniture. 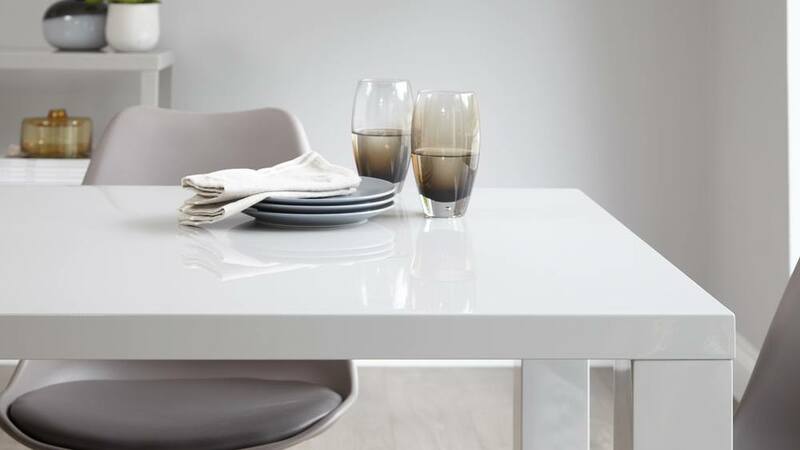 The high gloss finish of the Fern table looks both crisp and modern whilst the soft grey tone adds a gentle hint of warmth. Much like white, grey is also a very neutral shade, making it incredibly easy to coordinate with existing styles, colours and finishes in your interior. 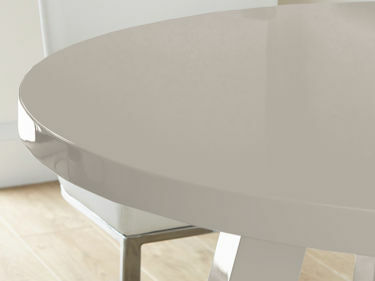 The grey gloss finish of the Fern table is applied in 3 layers. Each layer is then dried for 24 hours each. This extensive application process is to ensure a tactile, durable and highly reflective finish. 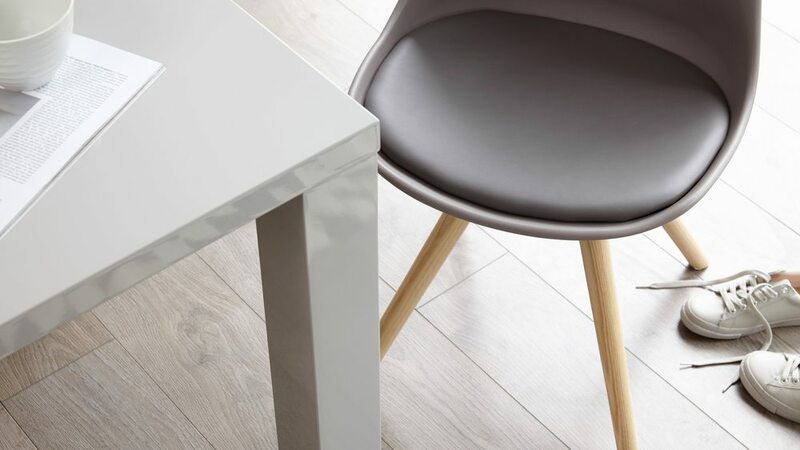 Our dove grey gloss is an exclusive colour to Danetti, meaning you won't find this stylish shade anywhere else. Because the Fern is such a simple yet stylish piece, we've made it available in a range of sizes and two stylish finishes, so there is something to suit almost everyone! 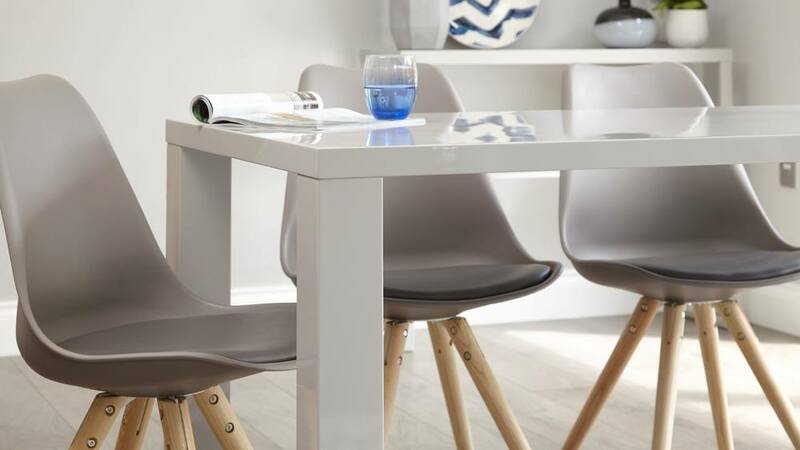 If you're looking for something larger, take a look at the Fern Grey Gloss Extending Dining Table which can seat up to ten people. 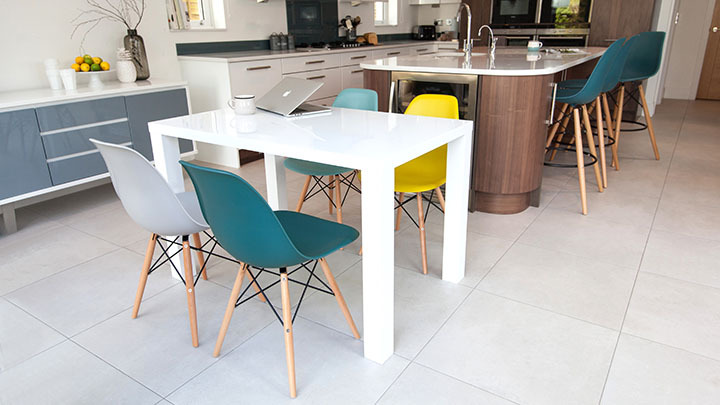 If you're working with a smaller space, we also have the Fern Kitchen Table or the Fern 4 Seater Dining Table. 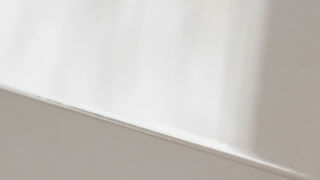 Our Dove Grey Gloss is a Danetti Exclusive colour that you cannot buy elsewhere. The perfect grey is much sought after and we really believe that we have developed just that. It's a light, subtle warm tone that really does go with any colour. If you're thinking that you want something a little different to white gloss then grey gloss is absolutely the look for you.